Apologies for late notice. No Show Tonight (14th February) due to illness. Hopefully be back on 28th February. Now every other Thursday from 9.00pm-11.00pm on ALL FM 96.9 across south, central and east Manchester and if you are unlucky enough to live outside the area you can tune in online at http://www.allfm.org. 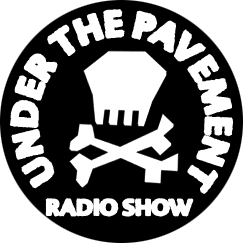 Welcome to “Under the Pavement“, Manchester’s radical/ alternative radio show broadcast every other Thursday from 9.00pm until 11.00pm on ALL FM 96.9, a community radio station for south, central and east Manchester, England. “Under the Pavement” is presented by a team of three vegananarchists: David, Cubesville occasional guest presenter Veg and has been broadcasting for over twelve years! The show brings you regular guests and interviews, what’s on guide and reports on direct action and grass roots resistance in the Manchester area. The music is an alternative/ leftfield eclectic playlist covering punk, folk, experimental, indie, hip hop, electronica and pop. Tune in every other Thursday from 9.00pm until 11.00pm on ALL FM 96.9 across south, central and east Manchester and online at www.allfm.org.